Not all members of the judiciary is corrupt – NBA tells FG – Royal Times of Nigeria. 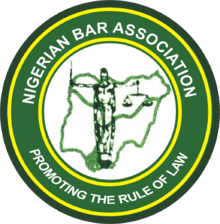 The Nigerian Bar Association (NBA) on Tuesday called on the Federal Government to stop describing the judiciary as corrupt, Punch reports. The association also supported the National Judicial Council’s recent recall of some judges earlier suspended over corruption allegations. The Secretary of the NBA, Isiaka Olagunju, spoke on behalf of the association in Abuja during an advocacy meeting between his delegation and Obono-Obla, at the aide’s office while responding to a call by Obono-Obla for the cooperation of the bar with the Federal Government in the fight against corruption, especially judicial corruption, Olagunju said a blanket description of the judiciary as corrupt was wrong. He said, “Let me state one thing clearly. Whether we like it or not, we have many brilliant judges in this country. We have judges who are men and women of integrity. “Because a fraction of them is challenged, it does not mean all of them are bad. So, using a blanket description that we have a corrupt judiciary is wrong. The Special Assistant to the President on Prosecutions, Okoi Obono-Obla, advised the NBA not to always take sides with the judiciary. Obono-Obla said, “Some of you who became lawyers 28 to 30 years ago, we met a very good system. We met judges like Kayode Eso, Oputa, Mohammed Bello, Ayo Irikefe and a host of them.